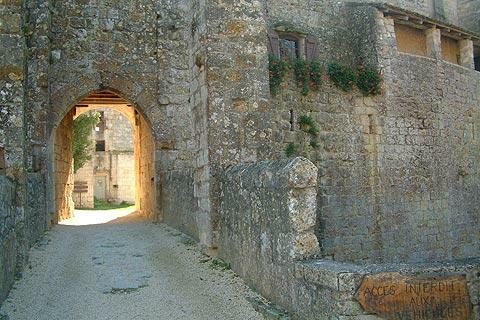 Larressingle is a medieval fortified village towards the northern edge of the Gers department, five kilometres west of Condom, and is listed as one of the 'most beautiful villages of France'. 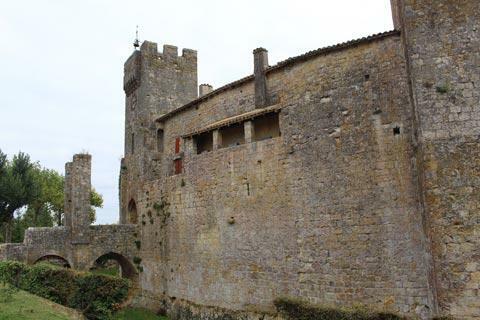 A small village almost completely surrounded by heavy fortified walls dating from the 13th century Larressingle is almost 300 metres around and creates a very impressive sight on arrival. 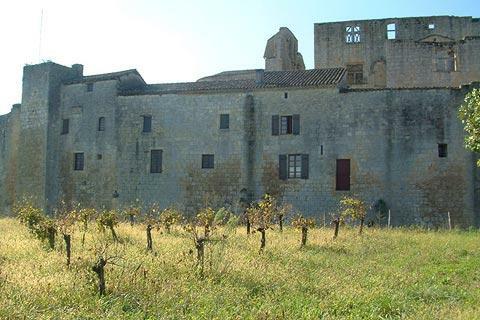 Medieval home to the bishops from Condom, it is the most visited destination in the Gers. 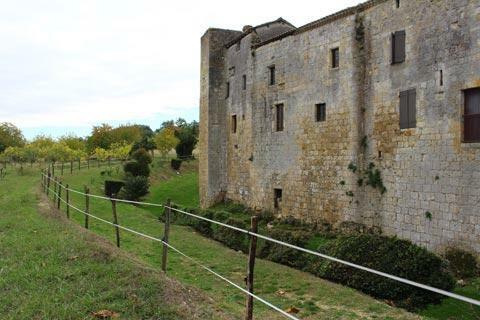 The defenses that surround Larressingle are almost completely intact except a small part to the east, and especially remarkable because there is no development outside the walls so the village has preserved its medieval appearance. 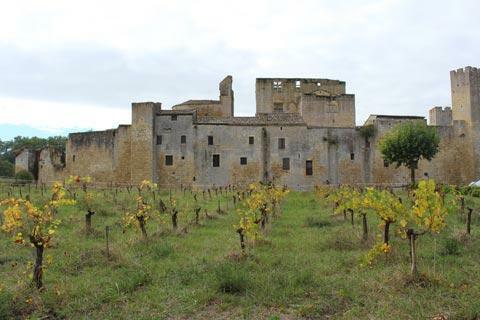 Before entering the village take a walk around the outside of the fortified walls: surrounded by vines and fields, the fortified walls of Larressingle are at their most impressive from the outside. 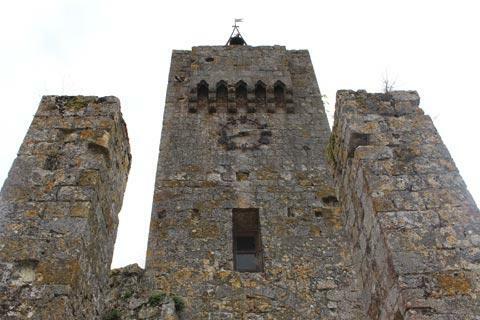 The village is entered by the only gate through the fortifications, across a pretty little double-arched stone bridge that was at one time a drawbridge across the moat (now dry) and through an arch in a tower. 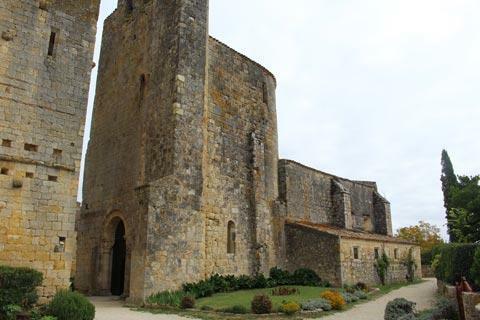 Within the walls of the smallest fortified town in France you can see a small church, Roman style and fortified in desig; a small chateau; and various smaller buildings and houses, mostly set with their backs to the fortified walls. 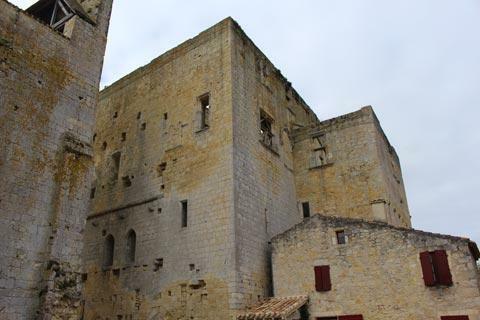 Although the castle is largely in ruins it is still dominated by the donjon and you can see several large fireplaces set in the walls. Note: many of the houses are gift / local produce shops during the summer season, and there is also a small cafe and a museum explaining the history of the village but these are all closed if you visit outside high season. 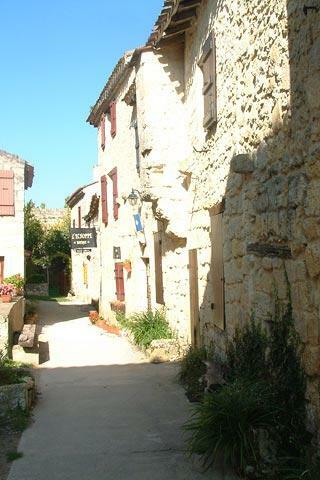 France This Way comment: although it is very small, Larressingle is a 'must see' village if you are in the region. 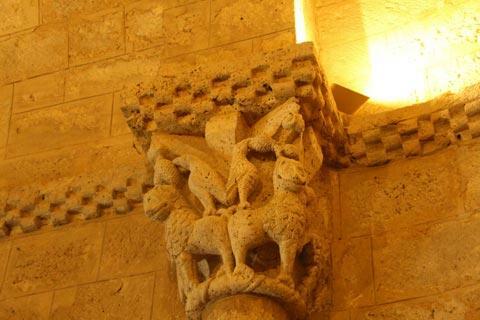 It really is an interesting and lovely little place and very well worth seeing. Just outside the fortified town of Larressingle there is an 'exhibition' of medieval weaponry - essentially a recreation of a medieval siege camp at the walls of the fortified town. 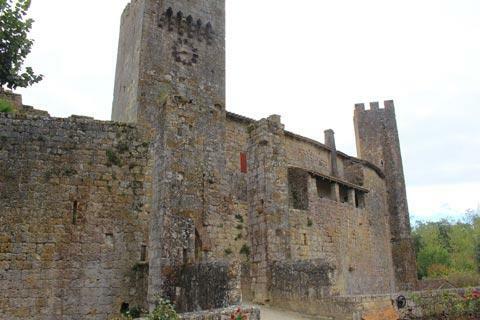 It was very entertaining and interesting for the children (and me) to see and use the large stone throwers, battering rams and other weaponry that would have been used to attack such a village in the 12th century. 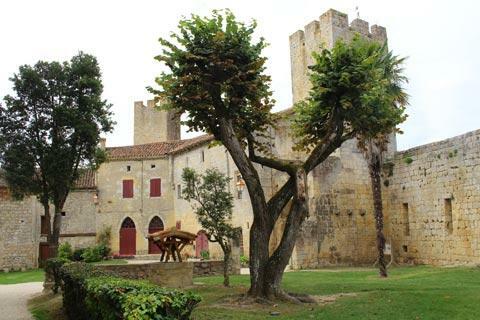 Larressingle is on one of the major pilgrimage paths to Santiago de Compostella, a path that also passes through nearby Condom and Montreal-du-Gers. The stone bridge across the Osse river at nearby Artigues is one of the oldest structures along the pilgrimage route. 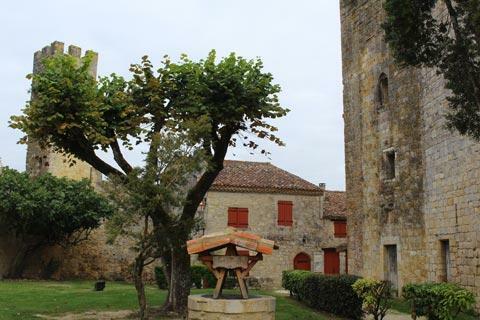 Fourcés and Montréal-de-Gers are also nearby and both classified among the 'most beautiful villages of France'. 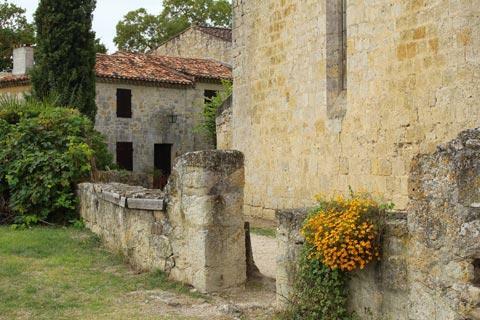 This region is Armagnac country, and ample opportunities exist to try armagnac and buy it in the vicinity.